You don't need high-end software like Photoshop or Paintshop Pro to save your photos in a form that looks good but loads quickly on the web. This demonstration uses irfanview, a free program, which has some great features like automated thumbnail production, and has good, fast workflows. 1. Open the image you want to upload. 3. 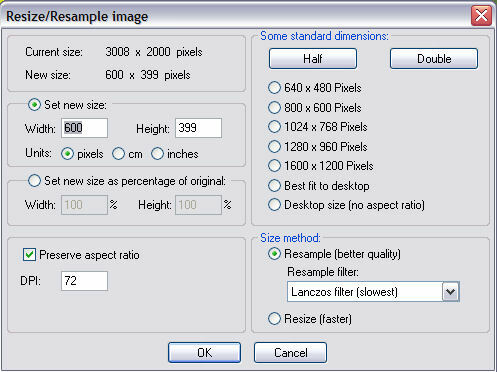 Reduce the image dimensions in pixels, remembering to make sure that the image is no more than 800 pixels along the longest side. 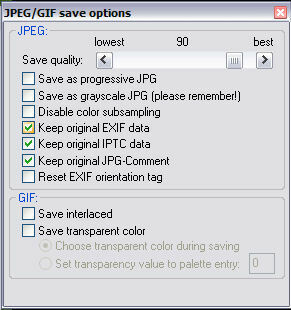 Adjust the Save quality using the slider. If you resized the image to a small size (eg 200 x 300 pixels) this probably isn't necessary, but if it's more than about 500 pixels on the long side you'll probably need to. You may want to preserve EXIF and IPTC metadata. 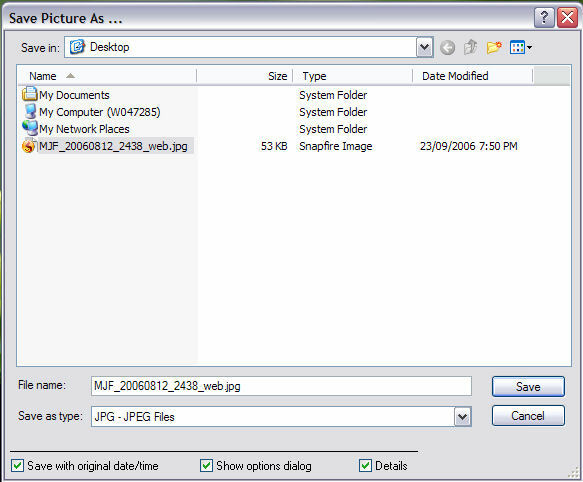 Click Save in the main dialog. 5. Look at the file size of the new file. 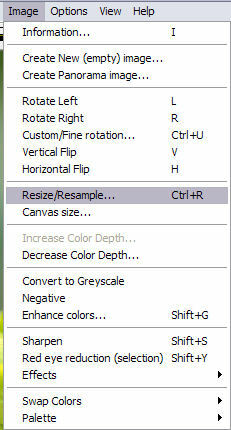 If still too big, repeat the steps, using smaller pixel size and/or lower quality, etc. If you're working with multiple images, you can streamline the process using File->Batch Conversion, Advanced options.